Big art activities are always a hit with kids, it’s fun to create on a large scale. This week we took it to a whole new level with freeze dance painting! 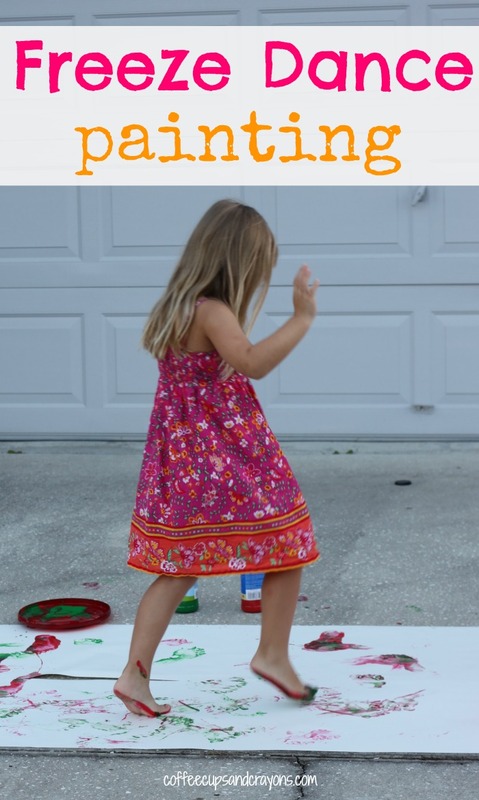 If you haven’t played before freeze dance before it’s a fun stop and go dance game. When the music plays you dance and when the music stops you freeze in place. 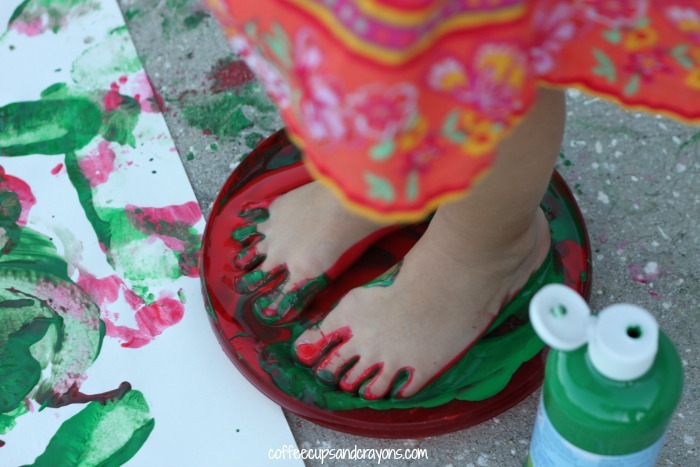 For freeze dance painting I poured paint into a frisbee for my little one to step in. 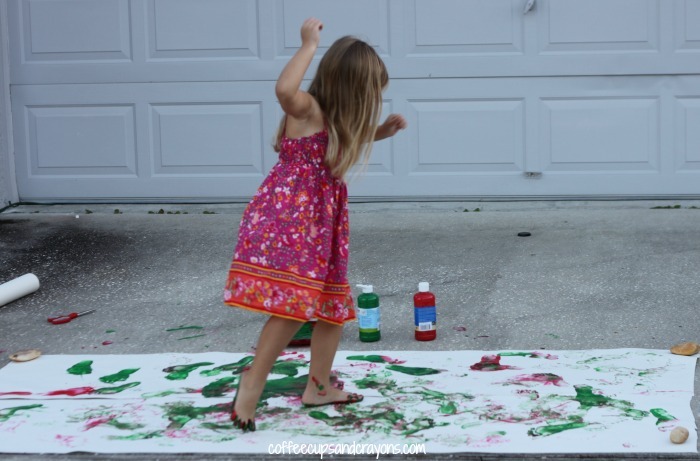 Once her feet were covered in paint she jumped on the paper and danced to the music. She had fun dancing and freezing while she painted with her feet! I played music with different tempos and we looked at the different prints she made dancing to each. The big kids couldn’t wait to join in and paint too–we now have lots of big art we can wrap our Christmas gifts in this year! This looks like so much fun! We would be doing a different kind of “freeze” dancing outside today (haha … so snowy …) Shared! Ha! My kids would be so jealous of your snow! Thank you! What a wonderful idea. I can just image that oozy feeling of paint between the toes. What fun! I love this idea! We did a freeze dance in our last recital for our very little girls. They loved it and this is a great summer activity they could do to relive it. Thank you!